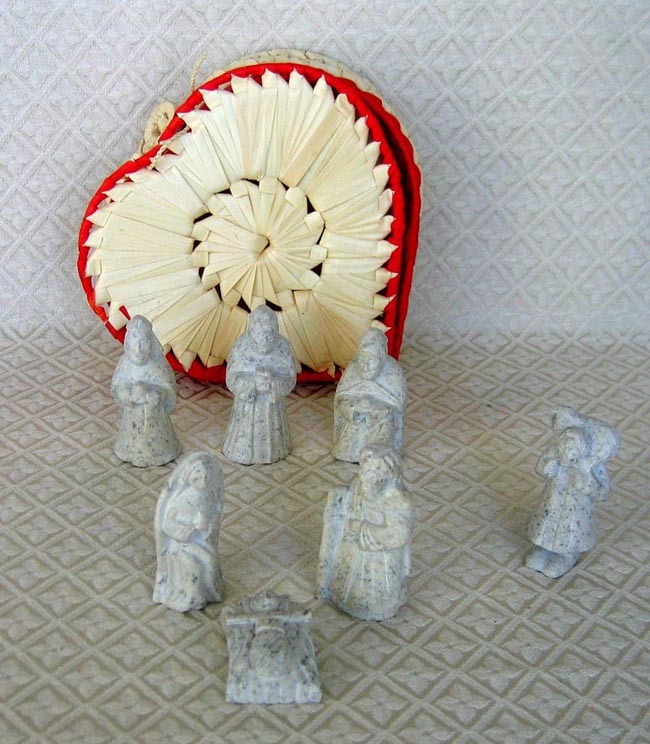 This Nativity set was carved from soapstone by children who were living on the street in Ho Chi Minh City, Vietnam. The figures are approximately 3 inches tall. The set comes in the heart-shaped woven box.